Traveling to past vacation spots can get repetitive, but returning to familiar haunts does yield surprising results. Having visited Orlando over 36 times, I wasn’t sure that I’d find something new and exciting. On the ride down on my Southwest flight, I ran into Teresa who mentioned her favorite spots in Central Florida. Believe it or not, I had never even heard of DeLeon Springs. 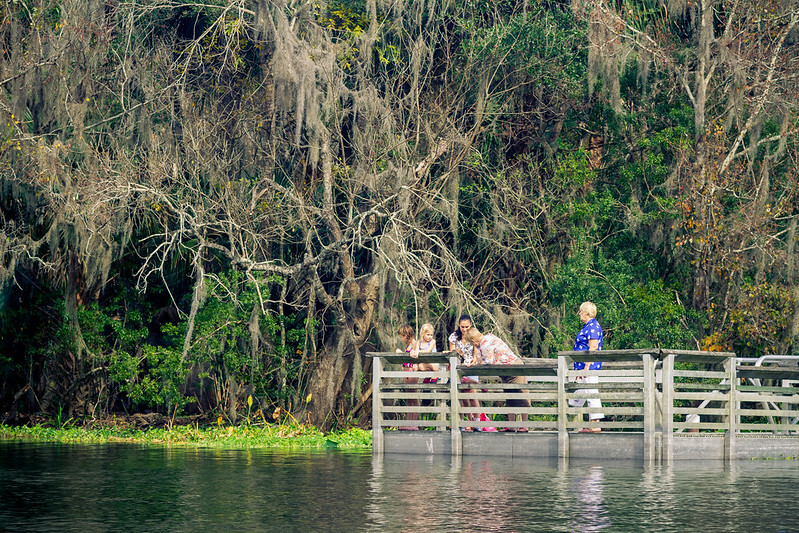 De Leon Springs Spring State Park is located in DeLeon Springs and approximately one hour from Orlando. After visiting, it is clear why she loves this park. It’s only $6 per vehicle for parking up to eight people. The park is open 365 days a year from 8am to sunset, so you can enjoy it even over holidays when other places are closed. Being Christmas Day, the regular boat ride, Fountain of Youth, was closed. However, we were able to enjoy a ride through the Lake Woodruff National Wildlife Refuge. The Captain was kind enough to add several tourists beyond their employees. 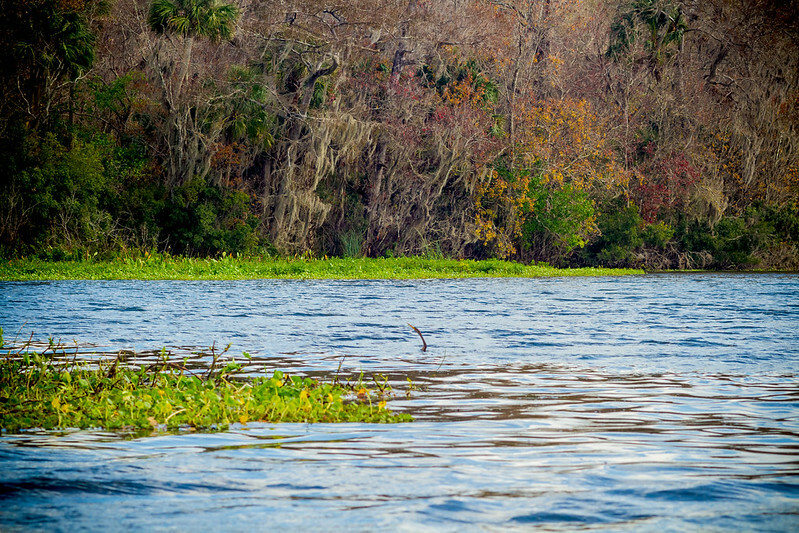 It is a 50-minute ride that enabled us to see alligators and countless birds. If you’re lucky, you might spot the native black bears who pass through the park en route to Ocala National Forest. If you intend to take a boat ride, we enjoyed ours a lot. The captain was knowledgeable and funny. You can also explore the park on your own with paddle boats, canoes, kayaks, and tubes that are available to be rented. Be sure to bring your bathing suit to swim afterward! 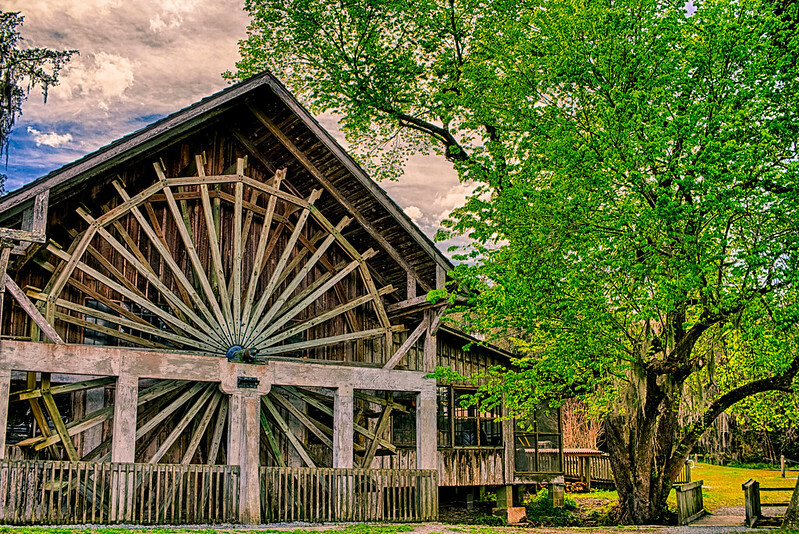 One special activity at DeLeon Springs State Park is making your own pancakes at the Old Spanish Sugar Mill Grill. It’s a popular restaurant, so place your name on the wait list to avoid waiting hours as soon as you arrive. Everyone raved about the taste of the pancakes, which you can cook yourself. The ranger told us of the numerous hiking trails; one of which one leads to Monkey Island. We were told that the monkeys had escaped in the 1950s, but now is a swamp. Nevertheless, it is wonderful seeing nature with the numerous types of trees throughout the park. This land has had humans living on it since 8,000 B.C. The history of the park is fairly unfortunate. The local Native American Mayaca tribe lived in the area, however the land was taken by the Spanish. That said, Ponce De Leon never came here. The land was then transferred to plantation owners who cultivated the land using slaves. The history is in full view including two canoes which are 5,000 years old and other Native American relics. John James Audubon came to the plantation to explore the waterways in the 1830s. The land was also taken by General Zackary Taylor in 1838 and later occupied by the Union troops. The park became a tourist attraction in the post Civil-War era and people started calling this the Fountain of Youth. We don’t make any promises! The name was changed to attract tourists to the nearby springs, gardens, and casinos from this period. Since then, the property has been purchased by the state of Florida to protect this beautiful spring and the land surrounding it. 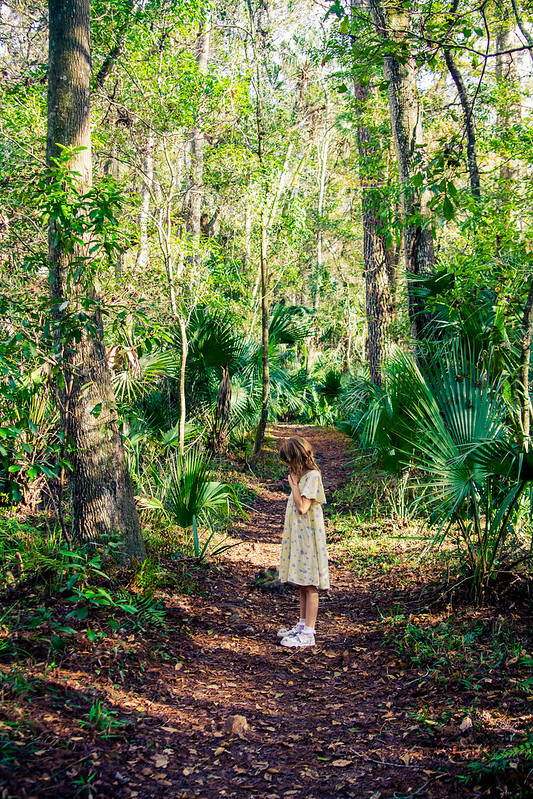 We encourage everyone to visit this fantastic state park in Central Florida. I am looking forward to discovering more gems in the area! Have you been to DeLeon State Park?